Skyrocket your sales by quickly and easily creating short professional promotional videos with our 6 part promo video secrets tutorial course. Creating promotional videos is something that not everyone can do and that’s generally because there aren’t many guides that show you how to do them correctly. A lot of them focus on the visual part of the promo video which is wrong. In fact there is one key element that can make your promo video increase your sales, and if you do it wrong, it’ll drop your sales. If your promotional videos are not created in high quality, you can kiss your product conversions goodbye. You see…promo videos are similar to your sales letter, but a lot shorter. The advantage is you can often press emotional hot buttons quicker and appeal to audio/visual people. You have to remember that some people like to read, while many people like to watch. In this video series you will have access to 6 content packed videos that will show you step by step how to create a basic, yet professional promotional video. In this video you will learn the different types of promotional videos that are used. Yes, there are many different types, and some are good for branding, while others are good for selling. You will also learn what softwares maybe good for you to use, to create basic promotional videos. The key is in the voiceover, which is the person talking. Having a bad voiceover will ruin your whole promotional video. In fact it doesn’t matter if you add cool sound elements or visual effects, if the voice and audio quality stinks, so will your promotional video. That’s just a tip you will find in this video series. 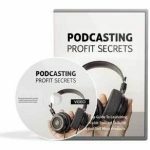 In this section, you will learn how to create your own voiceovers, but it’s highly recommended that you hire a professional voiceover to do this. In addition to the key element, the voiceover, sound and visual elements do indeed help your conversions. If the voiceover is good, and you have emotion invoking sound and visual elements, they will help greatly. In this video you will find highly recommended sites to find cool soundtracks, and visual elements on a low budget. We’ll just as it says, in this video we’re going to take everything you’ve learned above and put it all together. We’ll look at video effects, transitions, and making sure you can synchronize the audio voiceover track, soundtrack, and the visual elements together. In this video you will learn how to put a video on your landing page or sales page. Should you host the video on your own site or should you upload it to YouTube? All these questions, will be answered in this video series. So…with that said, grab this promo video secrets video series now and start creating professional promo videos today. You can view this video immediately after your purchase, so you don’t have to wait until I wake up or even if I’m sleeping or out of my office, you can still download it instantly. This is the most risk-free way start creating promo videos! You’ll be amazed at how simple and easy to create promotional videos. 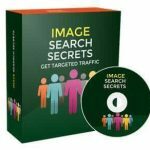 Order your promo video secrets video training course and get started right now.